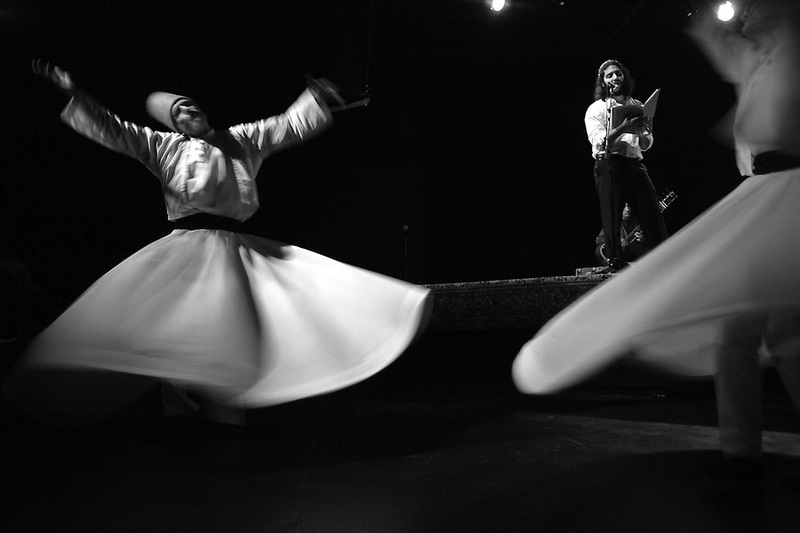 Raqib Brian Burke, left, and Jane Garland whirl to the poetry of Mevlana Jalaluddin Rumi, while celebrating the Sufi spiritual leader's 800th birthday at the ArtsCenter in Carrboro. "Whirling is a form of prayer," explains Garland, "a way of connecting to the divine. As you become a human prayer wheel, the right hand receives, and the left hand transmits. You become like a channel of energy so that the divine energy can come through and express itself."